San Juan Jabloteh moved to the top of the Pro League 2017 standings today after escaping a feisty MIC-IT St. Ann's Rangers outfit with a late 2-0 win at the Larry Gomes Stadium in Malabar. A converted penalty by Jamaican defender Adrian Reid three minutes from the end of regular time and a stoppage-time strike from substitute attacker Aaquil Campbell earned the Keith Jeffrey-coached San Juan Kings full points against a side that had rattled their crossbar twice in the second half. 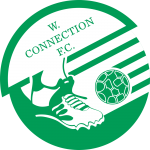 The win propelled Jabloteh (10 points) three spots up to occupy the summit -- one point ahead of W Connection and North East Stars, who had mixed results on Friday night, and three points ahead of three-time holders Central FC, who have a game in hand against North East Stars. Jabloteh had enjoyed the better share of first-half chances, but had themselves to blame after Rangers' goalkeeper Cleon John put behind a Vurlon Mills effort and Keithy Simpson and Damian Williams missed gifts at the goal mouth. Rangers too, were at their own fault. 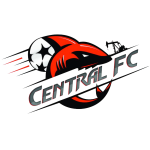 Substitute winger Josh Toussaint and forward Xae Pierre De Fou both saw their efforts crash off the bar moments after teenaged midfield sensation Che Benny had forced Jabloteh goalkeeper Javon Sample into a low save from distance. 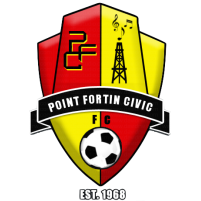 Toussaint was the first to rattle the Jabloteh crossbar after meeting a low Rennie Britto feed from the left, in a move that was created by a neat through-ball from Benny in the 66th minute. Thirteen minutes later De Fou, who lifted an attempt inches overbar in the first half, followed suit when he scooped his effort onto the bar off a right side cross from tenacious Rangers midfielder Omari Lezama. 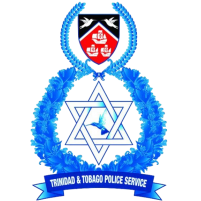 But coach Anthony Streete’s men, who only fell to a late 1-0 loss against Connection and played to a 1-1 draw with Police FC prior to facing Jabloteh, broke down at the death. Jabloteh substitutes Kennedy Hinkson and Campbell had made the difference for Jabloteh—a side yet to show their full potential, albeit seated at the top of the PL standings. Reid, Jabloteh’s penalty specialist, wrong-sided Rangers goalkeeping star, Cleon John in the 87th minute to break the deadlock after defender Shane Sandy brought down Hinkson – released by a Nathan Lewis feed – inside the box. Campbell then completed the late victory two minutes into stoppage-time with a shot from the middle of the area that had too much sting for John’s outstretched arms. Lewis again involved after he was picked out by a long Jesus Perez cross to then provide the pass for Campbell, who did what teammates struggled to do in the first half. 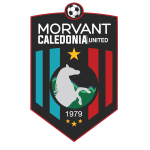 Jabloteh, who held Central to a goalless draw and narrowly defeated Defence Force and Morvant Caledonia United 1-0 prior to facing Rangers, will travel against W Connection in a top-of-the-table clash on Friday 7 July at the Ato Boldon Stadium. 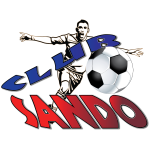 Rangers meanwhile, must regroup quickly as they face Club Sando in a rescheduled fixture on Tuesday 4 July from 6pm at the Ato Boldon Stadium before hosting North East Stars from 4pm on Saturday 8 July at the St. Augustine Secondary School ground. 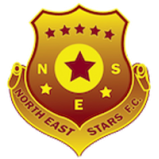 North East Stars 1 (Rundell Winchester 42') vs Morvant Caledonia United 0, at Arima Velodrome. 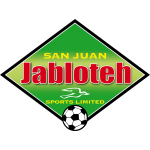 San Juan Jabloteh 2 (Adrian Reid 87' pen., Aaquil Campbell 90'+2.) vs St. Ann’s Rangers 0, at Larry Gomes Stadium. San Juan Jabloteh: 1.Javon Sample (GK), 5.Shakiyl Phillip, 6.Akeem Benjamin, 9.Keithy Simpson (20.Aaquil Campbell 70th minute) (Yellow Card), 11.Damian Williams (Capt. ), 15.Jesus Perez, 16.Jairo Lombardo (14.Hayden Tinto 46th minute), 17.Vurlon Mills (23.Kennedy Hinkson 81st minute), 22.Kadeem Hutchinson, 24.Adrian Reid, 27.Nathan Lewis. Unused substitutes: 30.Shemel Louison (GK), 12.Kion Joseph, 18.Jevon Morris, 20.Aaquil Campbell, 21.Dominic Douglas. 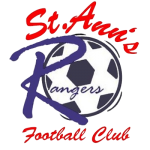 St. Ann’s Rangers: 1.Cleon John (GK) (Capt.) 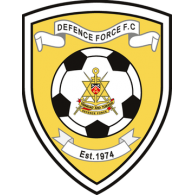 (Yellow Card), 4.Shane Sandy, 5.Tekay Hoyce, 6.Omari Lezama, 12.Rennie Britto, 14.Xae-Pierre De Fou, 16.Stephon Smith, 17.Hakeem Baird (10.Josh Toussaint 52nd minute), 19.Anselm Jackson, 30.Che Benny (Yellow Card), 33.Osaze Springer (7.Sedale Mc Lean 69th minute). Unused substitutes: 22.Christopher Biggette (GK), 3.Kareem Eastman, 15.Keshawn Hutchinson, 20.Aquil Selby, 28.Shem Alexander, 31.Jesse Williams.